The war on congestion, as seen in Seattle. The Federal Highway Administration just acknowledged, in a set of new rules recorded Thursday, that the fundamental purpose of a road is to move humans, not vehicles. It’s good news for the long-term potential of protected bike lanes, bus lanes and other congestion-busting measures on major streets. And this isn’t a last-minute penstroke by the outgoing Obama administration, either. 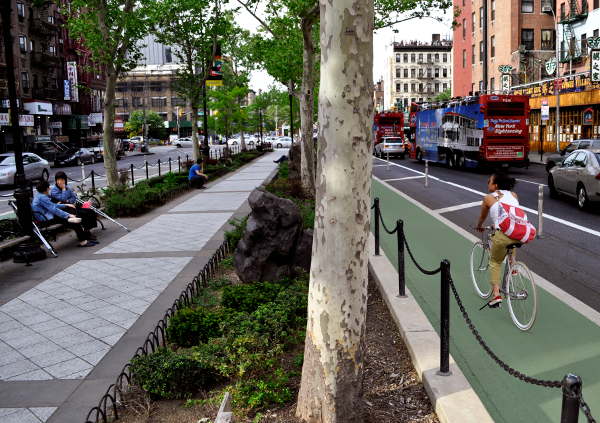 It’s the result of a years-long inquiry by the U.S. Department of Transportation into how best to measure the “success” of roads in the federal highway system, which includes many arterial streets that could receive protected bike lanes in the future. An earlier draft of these rules would have codified outdated highway-era dogma, emphasizing the movement of cars and trucks as a primary goal. 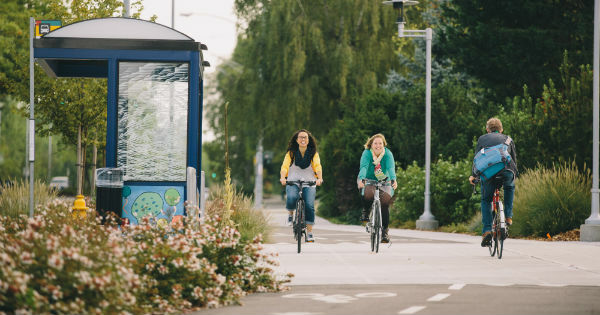 Thousands of comments poured in demanding an approach that factors in the value of transit, biking, and walking — and the agency listened. Under the FHWA’s final rule, success will be measured by how fast people are moving: a bus with 50 passengers will count 50 times more than a car with one. Under the old rules, a comfortable protected bike lane that served 1,000 people every rush hour was no better than a stripe of white paint that served 100. Also, the feds will now tell states and regions to evaluate how much a project contributes to carbon emissions and how many non-drive-alone trips happen on the road, including biking and walking trips. And the rules dropped a misbegotten notion that the perfect highway is a nearly unused one. That’s exactly backwards, of course. The perfect highway is one that everyone can use, but only as much as they need to — and with whichever vehicle they see fit. Allen and Pike Streets, New York.